The theme for this week’s Gallery is ‘movies’, which is incredibly easy for me, because We Are A Movie Family. From Disney to Star Wars to Lord of the Rings, our son has grown up with the giants of cinema, and a passion for film. He is not a natural early-riser, but if there’s a Sunday morning screening in Leicester Square he always wants to go. 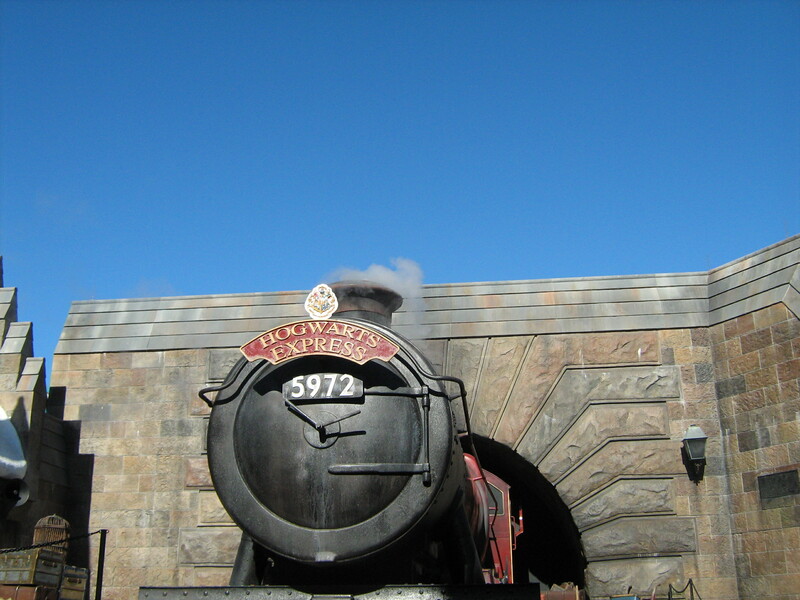 He’s also a huge Harry Potter fan, which is why we couldn’t wait to visit Harry Potter’s Wizarding World at Universal Studios Resort Orlando (and see the Hogwarts Express). That Florida sky is SO blue, isn’t it? 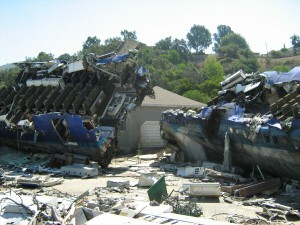 A few years ago on our way back from a holiday in Hawaii we decided to spend a few nights in Hollywood, visiting the Universal Studios park there (before you get excited,these shots were taken on the movie backlot ride – the set is War of the Worlds). It was the third time I’d been to Hollywood and it’s fair to say it has changed ALOT – at one time it didn’t feel that safe to walk around, now it’s perfectly fine to take the subway. 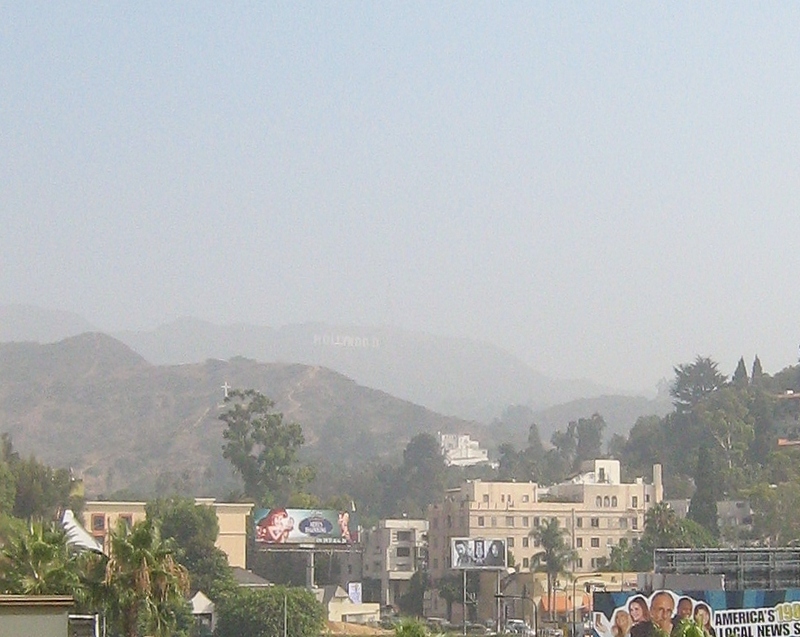 The best view of the Hollywood sign is from the mall next to the Dolby Theatre – where the Oscars is held. It’s a bit like an open air Arndale Centre, not terribly inspiring – until you get upstairs and you see that white lettering high in the hills. This isn’t a great photo – it was one of those super hot LA days where everything looks really hazy – but trust me, it’s a breathtaking view. I’ve never been to that part of California. Sounds fantastic. 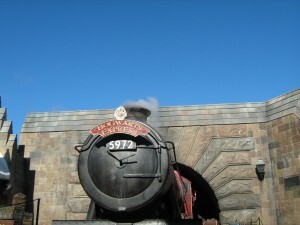 Sounds like a fabulous trip – we went to Hollywood but not Universal Studios – would love to go one day! 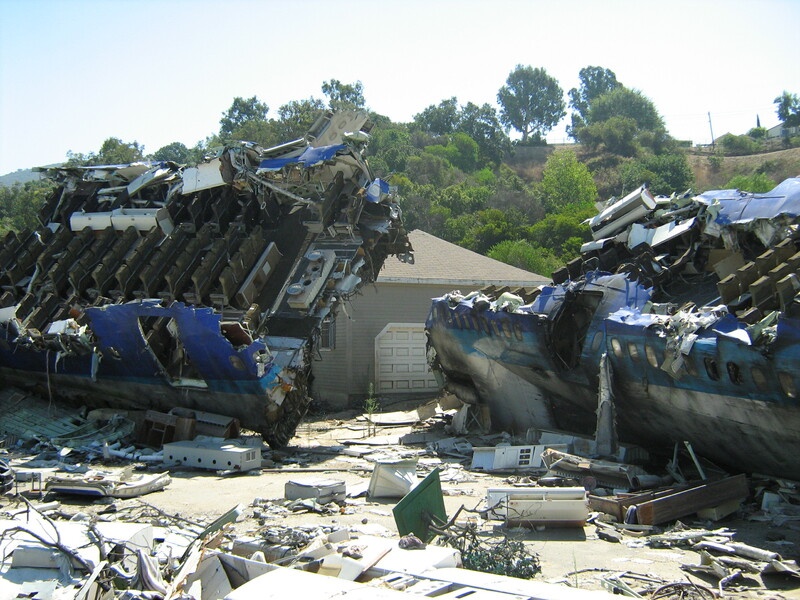 Looks like you had an amazing time- I’d love to visit one day! 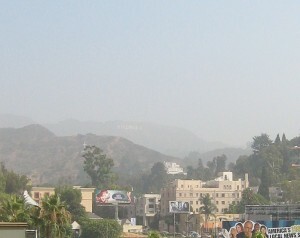 We’ve always wanted to go to Hollywood. Looks like so much to see and do. Great shots! Fabulous! Sounds like a very fun and interesting trip! Some great shots there. Sounds like a great trip. My gallery shot is also from Harry Potter, but a bit closer to home.